Motivated Seller!! Owner offering $1,000 for flooring in dinning room. Home will need new painting and deep cleaning prior to move in. 1st floor laundry. All appliances can stay! 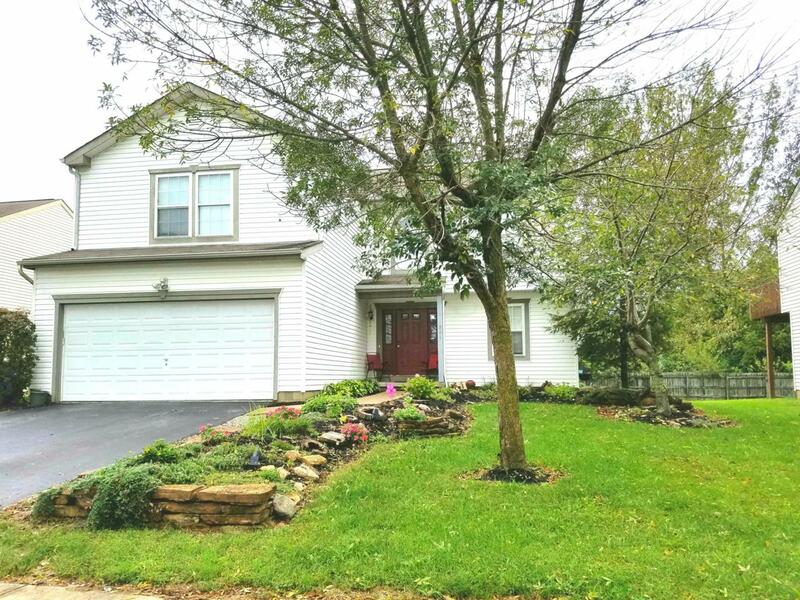 This spacious 4 bedroom 2 story home includes an enormous master suite w/cathedral ceilings, his & hers walk-in- closet, deluxe master bath w/garden soak tub, stand alone shower. Spacious formal living & dining rooms, eat in kitchen with central island, comes fully equipped with stainless steel appliances. Full unfinished basement. Spacious yard w/deck. House backs up to lots of land as there is a farm in the rear of the home.